Colin MacIntyre is a multi-award-winning musician, producer, author and playwright. 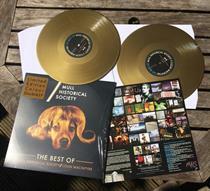 He has released eight acclaimed albums to date, most notably under the name Mull Historical Society, having achieved two UK Top 20 albums and four Top 40 singles, since his Gold-selling debut album, ‘Loss’. His new MHS album, ‘Wakelines’, has been produced by Mercury and Brit-Award winning Producer Bernard Butler. 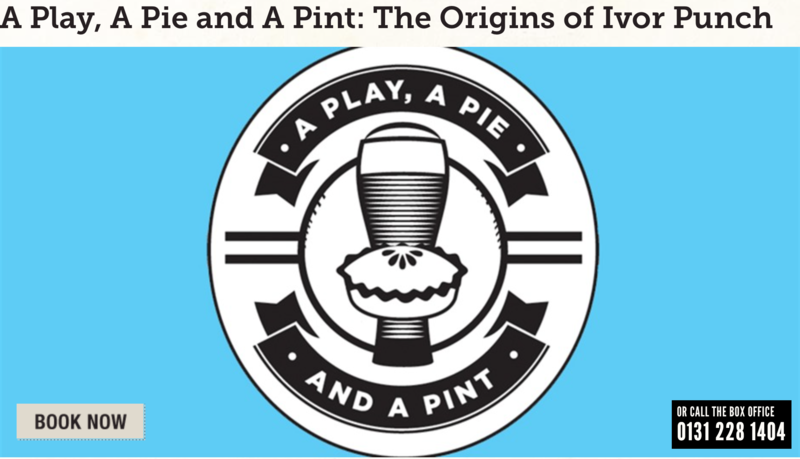 His debut novel ‘The Letters of Ivor Punch’ (W&N/Orion) won the 2015 Edinburgh International Book Festival First Book Award, was shortlisted for The Guardian’s 2015’s Not The Booker, and he has just adapted it for the stage. He has been voted Scotland’s Top Creative Talent at the Glenfiddich Spirit of Scotland Awards, as well as into the Greatest Scottish Artists of All Time public poll, and has toured worldwide, including with ‪The Strokes, Elbow and REM, and has played all the major festivals. He has performed live on the U.S. College radio circuit, on Radio 4, 6Music, Radio 1, Radio 2, MTV, Later With Jools Holland and the Jonathan Ross Show, among many others. 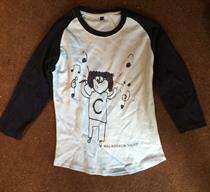 Colin has collaborated with those as diverse as King Creosote, U.K. Political legend Tony Benn, and ‘Trainspotting’ creator Irvine Welsh. His new memoir, ‘Hometown Tales: The Boy in the Bubble’ (W&N Books), and his first book for children, ‘The Humdrum Drum’ (Little Door Books) with accompanying CD of songs and audiobook, were published in June. Born into a family of writers and storytellers, Colin is a descendant of the Gaelic warrior-poet, Duncan Ban MacIntyre, and grew up on the isle of Mull in the Hebrides (pop. 2,500 people, 26,268 sheep). 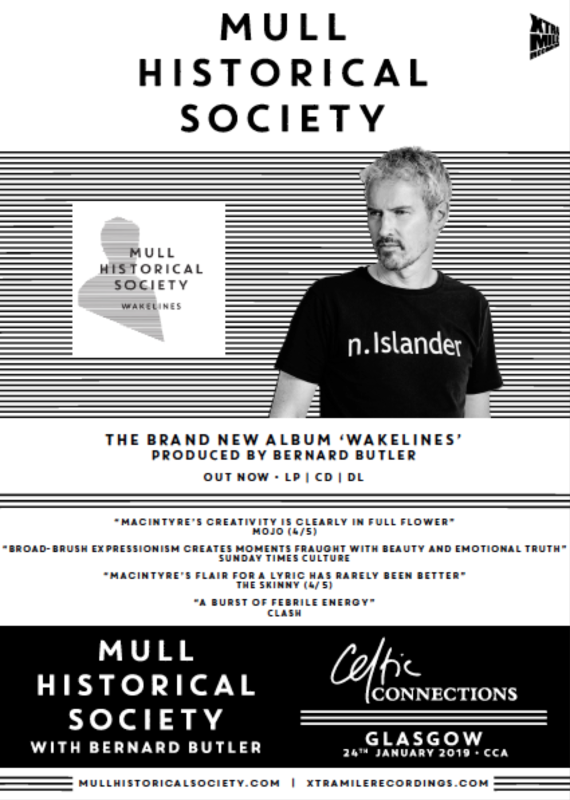 21st September 2018 will see the release of Colin’s new Mull Historical Society album ‘Wakelines’ on Xtra Mile Recordings, Produced by the Mercury Award-winning songwriter and Brit Award-winning Producer Bernard Butler. 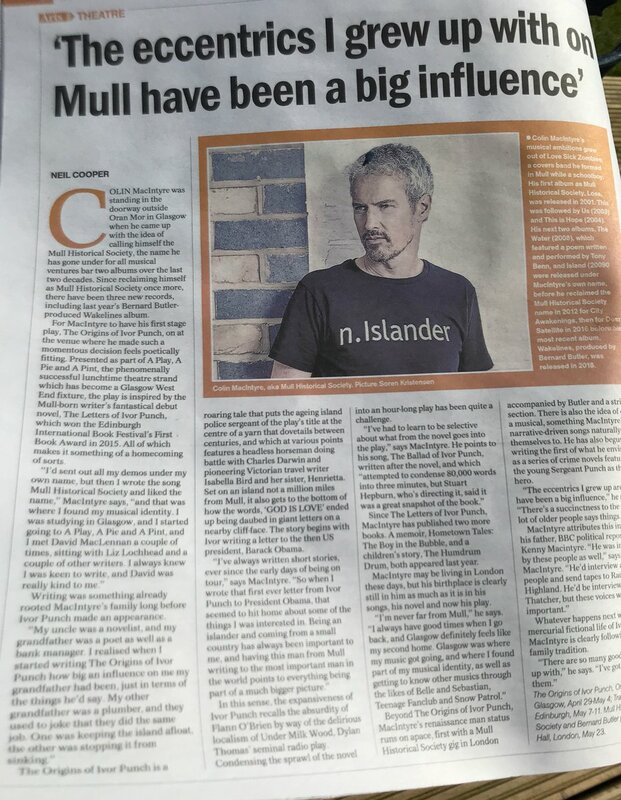 Summer 2018 also sees the publication of two new books from Colin: his memoir ‘The Boy in the Bubble’ about growing up on the isle of Mull and his journey from island boy to international musician, which is published as part of the W&N Books/Orion ‘Hometown Tales’ series. 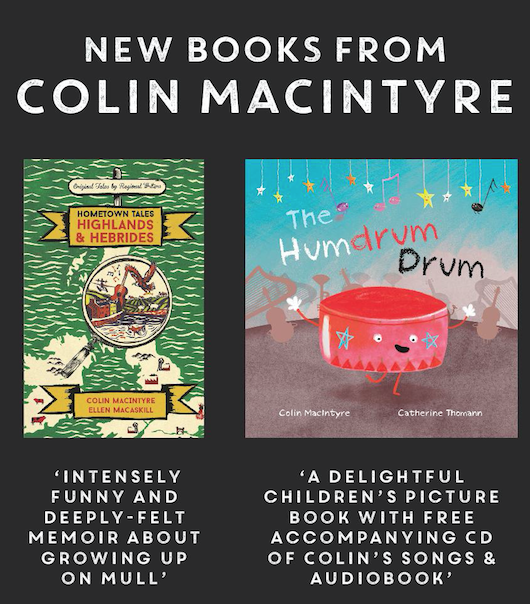 As well as Colin’s first book for children, ‘The Humdrum Drum’, a picture book with accompanying original songs and audiobook. On the album, Colin explained “‘This is my eighth album, but it feels all about firsts. About going back. The first song I wrote for the album was ’14 Year Old Boy’. It tells the story of my first electric guitar being waded ashore to the isle of Mull, held high above the waves by my father, Kenny Macintyre. It was a Fender Telecaster guitar. Whenever I play the guitar even now I still expect an electric shock, to be plugged into the mainland, to be the 14 year-old boy again with his dreams, his sketched stageplots. This story is also told in the first pages of my new memoir ‘Hometown Tales: The Boy in the Bubble’, which I wrote while I recorded the album. ‘Child Inside of Me’ is another song inspired by this theme. This album is also the first time I have worked with someone like Bernard Butler. I had a feeling about the album that I needed to get somewhere new – it was Bernard who realised what I was saying was I needed to get under my skin, lay myself bare. I’ve long admired Bernard and I feel that he has left some of him on here too. To have him performing so much on the album is an added bonus! The follow-up to 2016’s Dear Satellite is Colin MacIntyre making the most of his time in Bernard Butler’s studio, his home, with his instruments, his playing expertise, and within his sphere of influence. The signature wall of sound is most evident on the title track and ‘Wetlands Urban Fox’, with guitars channelling the melodies confidently into indie-pop canon. But it’s also in the strings that stir throughout the record, like on ‘Child Inside of Me’. Colin also sounds his most vulnerable on songs like ’14 Year Old Boy’ and the album resonates with the heart and playfulness of the young Colin. Colin said: “This is my eighth album, but it feels all about firsts. About going back. The first song I wrote for the album was ’14 Year Old Boy’. It tells the story of my first electric guitar being waded ashore to the isle of Mull, held high above the waves by my father, Kenny MacIntyre. It was a Fender Telecaster guitar. Whenever I play the guitar even now I still expect an electric shock, to be plugged into the mainland, to be the 14-year-old boy again with his dreams, his sketched stageplots”. Real birdsong filters into ‘Somewhere In Scotland’ lending field recording authenticity to the album, while every breath of space is augmented with sound on ‘New Day Dawning’. It’s Colin’s biggest-sounding album and one that really showcases a diversity of ideas, almost painterly in its use of texture and vision. May we venture that it could be his best yet? 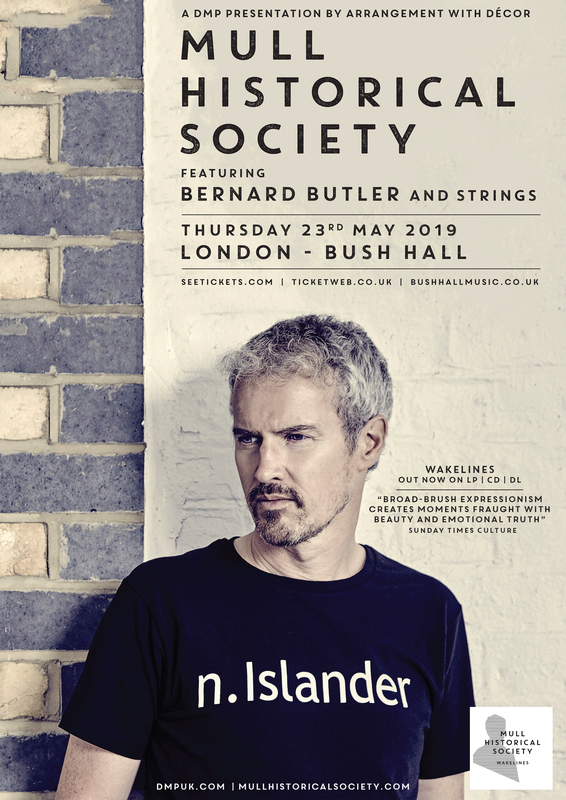 Bernard Butler has certainly brought out the best in him, and Mull Historical Society has deepened its own story with Wakelines. His newest musical incarnation is the emerging Field Stars, an electro art-pop collaboration, produced by the Grammy-winning Dom Morley (Amy Winehouse’s ‘Back to Black’) and mixed by Lars Norgren (Tove Lo ‘Habits’). The History — the story so far… When Colin MacIntyre’s debut Mull Historical Society single ‘Barcode Bypass’ (Rough Trade) was named NME’s Debut Single of the Year in 2000, and then received its first daytime airplay (all 7 minutes of it) on Radio 1 on Jo Whiley’s show, it was clear a truly original songwriting talent had emerged as if fully formed — and from the unlikely Atlantic outpost of the isle of Mull, in the Scottish Hebrides (pop 2,500 people, 28,234 sheep). Then came MacIntyre’s Gold-selling seminal debut album, the self-produced ‘Loss’, widely hailed as one of the best British albums of that year, including making Q’s top albums poll. It has since been voted in the top Scottish albums of all time. His acclaimed follow-up album, ‘Us’, landed in the Top 20, which included a follow-up song to ‘Barcode Bypass’, called ‘The Supermarket Strikes Back’, and the immense ‘The Final Arrears’ #19 single, dubbed ‘exactly 3 minutes of pop perfection’ by Mark Radcliffe. 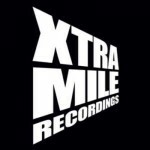 Once again MacIntyre also took on production duties. Colin taught himself to play by watching his uncle’s covers band, going on to make his debut performance in the Tobermory town hall with microphones attached to broomsticks. He wrote his first song when he was seven and there have been hundreds that have followed, recording prolifically through his teens. His music took off while he was studying at University in Glasgow, and training part-time (very part-time) for Scottish professional football outfit, Queen’s Park, at the legendary Hampden Park. 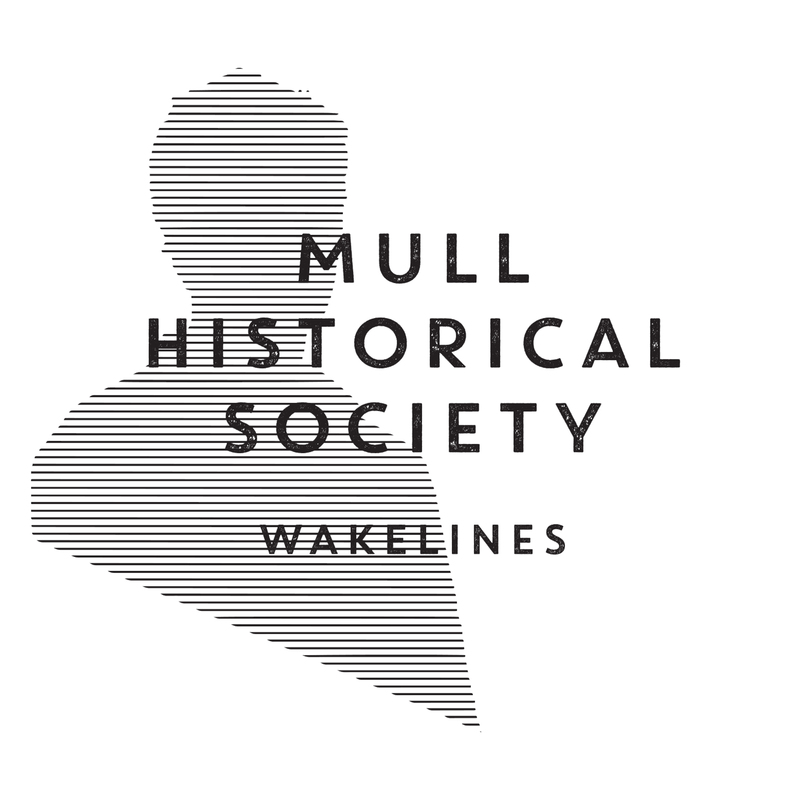 By then, his identity of Mull Historical Society, stolen from his island’s local heritage organisation, was in place and the rest is, well, history. 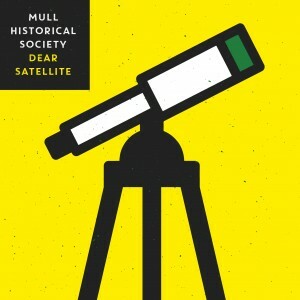 ‘It felt to me like taking a new identity, one I could explore and get my teeth into, inspired by Orwell’s 1984 mixed with Bowie’s Ziggy Stardust or something, it just felt real and inspiring.’ (The ‘real’ MHS have since changed their name to Mull Historical & Archaeological Society, later to reappear in fictional form in MacIntyre’s debut novel). 2004 saw ‘This Is Hope’, recorded at the legendary Bearsville Studios in Woodstock, upstate New York. MacIntyre stayed in the same barn as used by Bob Dylan and The Band (Janis Joplin’s mini was still parked in the garage). It spawned the Top 40 single ‘How ‘Bout I Love You More’. MacIntyre also traveled across America’s deep south for inspiration, making a stop in New Orleans to record a gospel choir for the closing track, ‘In The Next Life (A Requiem)’, which also features his grandmother on vocals. MacIntyre has also released two albums under his own name: ‘The Water’ (2008), produced by Lemon Jelly’s Nick Franglen, on his own label Future Gods Recordings, with The Guardian hailing it ‘Pop perfection’. In 2009 Colin released his most stripped-back album to date, ‘Island’, recorded in his old school classroom. It was known to be played on none other than Beach Boy Brian Wilson’s tour bus. 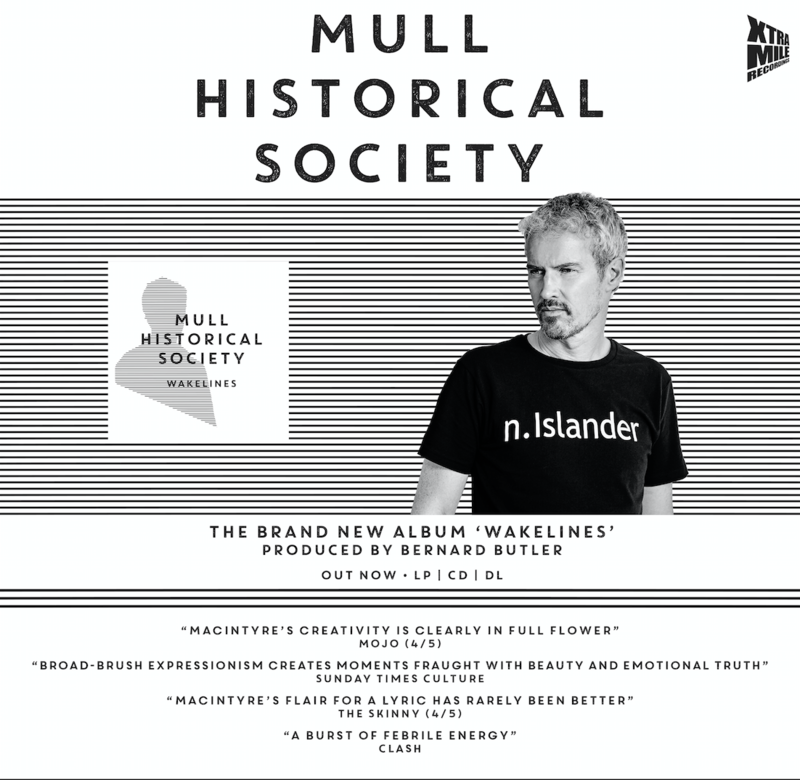 His 2012 Mull Historical Society album, ‘City Awakenings’, was released on Xtra Mile Recordings. Produced by the Grammy-winning Dom Morley (Amy Winehouse, Mark Ronson, Grinderman), it is his tribute to Glasgow, London and New York – the 3 cities that have most influenced this islander abroad. MacIntyre co-produced the closing track ‘Thameslink (London’s Burning)’, which he first performed at his father’s funeral, Kenny Macintyre, the widely respected BBC Political & Industrial Correspondent, (Colin’s father’s death inspired ‘Loss’). Colin’s father having once carried aloft a Fender ’78 Telecaster home to his teenage son on the island on a trip back from the mainland, wading ashore with the guitar held aloft after the ferry had failed to dock. There were live sessions (with said guitar!) on Radio 2 with Jo Whiley & Bob Harris, as well as on 6Music, BBC Radio Scotland, BBC Ulster, XFM, Radio Clyde and more. After a summer of Festival appearances including V, T in the Park, Eden Sessions, & the Scottish Parliament with Annie Lennox – and returns to Europe with shows in Berlin and Blue Balls, Lucerne – came his first Xmas Single, ‘Christmas Is Here Again’. The paperback of his debut novel was published a week later in April 2016. And, to tie both identities nicely together, a new Mull track ‘The Ballad of Ivor Punch’, is the first single off ‘Dear Satellite’. 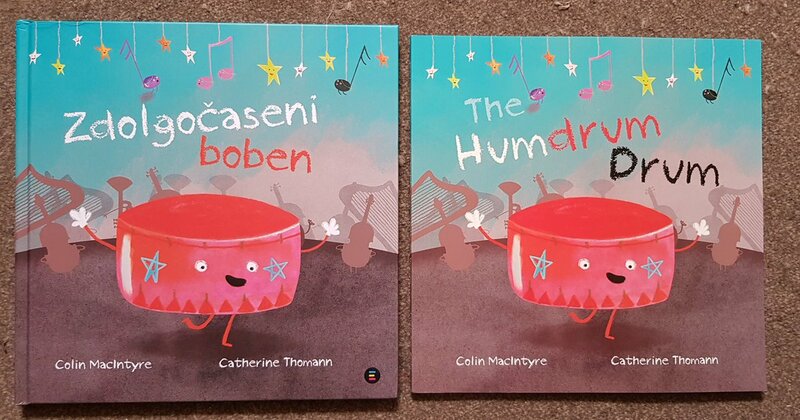 The Humdrum Drum is Colin’s first book for children and features an accompanying CD with specially written original songs and an audiobook.Meet ‘Drum’, the orchestra drum who is feeling very humdrum. When Drum is feeling unhappy he stops playing and the entire orchestra comes to an embarrassing halt. But with the help of his friends – a cast of colourful instruments, as well as ironing mice and shaving pigeons – Drum realises that without him keeping the beat, they lose their way and that they need him to save the day! June 2018: Colin’s memoir about growing up on the isle of Mull ‘The Boy in the Bubble‘ is now published by W&N /ORION BOOKS as part of their ‘HOMETOWN TALES’ series, celebrating regional voices. It is a bright, intensely funny and deeply felt memoir about growing up on the Isle of Mull from multiple award-winning musician (Mull Historical Society) and author of The Letters of Ivor Punch, Colin MacIntyre. It is a moving and fascinating exploration of what ‘home’ really means, charting his journey from island boy to internationally acclaimed musician. It will be in available in book shops and online from 28th June 2018. Pre-order. From 2012-2014 Colin also ran the charity ‘Mary’s Meals‘ in London, it is a volunteer-led movement which provides children with a daily meal in their place of education in some of the world’s poorest communities for just £13.90 a year. Mary’s Meals is based in (an extended) shed in the Scottish West Highlands and currently feeds over 1.2 million children every day. Colin continues to support the work of the charity. There is also Colin’s new electro art-pop project… FIELD STARS (formerly INK), that has been the Guardian’s New band of the Week, proclaiming: ‘perfect without being too box-ticking…going to be massive’. 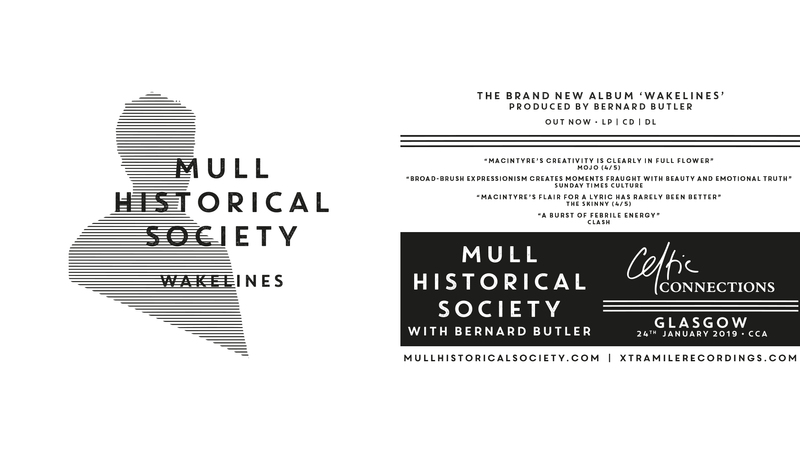 2016 promises to be an exciting year of stars aligning for Mull’s History man who can’t stop creating.